Growing up in India, dusty streets, old worn out buildings and a constant hustle and bustle were a common sight on the streets (in Delhi). No doubt that these busy streets are a part of me, and I always feel alive when I see life on the streets. But when I moved to Amsterdam, it was like the constant ringing of activity in my ears found calm in the newness of the surroundings – the symmetrical roads and canals, neatly clipped gardens, and the painted and polished look of the city. Considering my new sensory acceptance, the look, feel and experience of a city started to stand out more prominently as a part of my travels. Each city has its own identity and character, and I began to seek it every place I went. And Naples definitely has a lot of it. 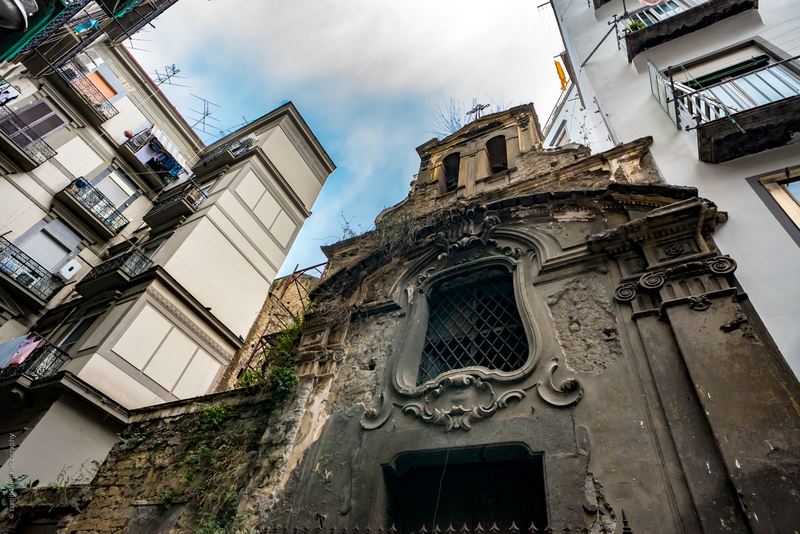 Follow through the photographs below in this photo essay to discover Napoli, as it is called in Italian, through the facades of its buildings. When I went to Naples in October 2017, I felt that familiar rush of being back home. The same chaos, the old and dusty feeling and with it – the warmth of belonging. Naples, according to many, is an ugly city. 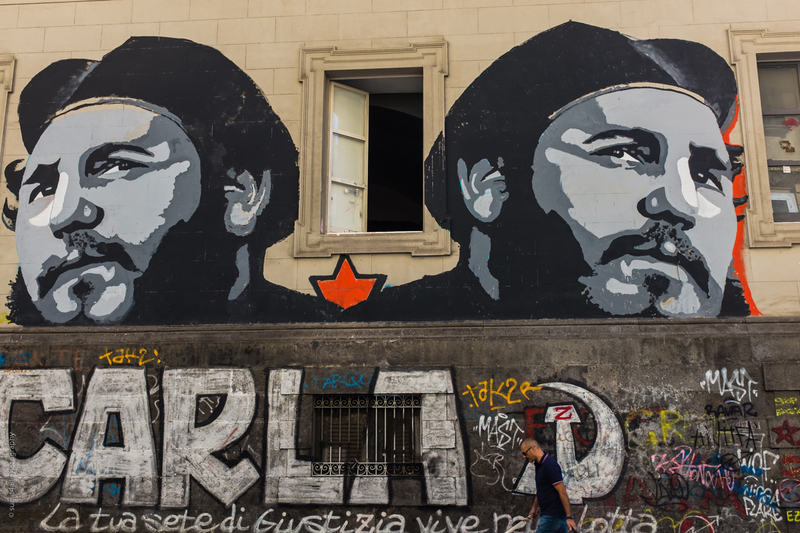 It is also the poorest city in Italy with its infamous mafia. After spending 4 days photographing the city, I beg to differ. The city might have its problems (which city doesn’t? ), but nobody can say that the city lacks character. Life in Naples can be challenging, but it is never boring. 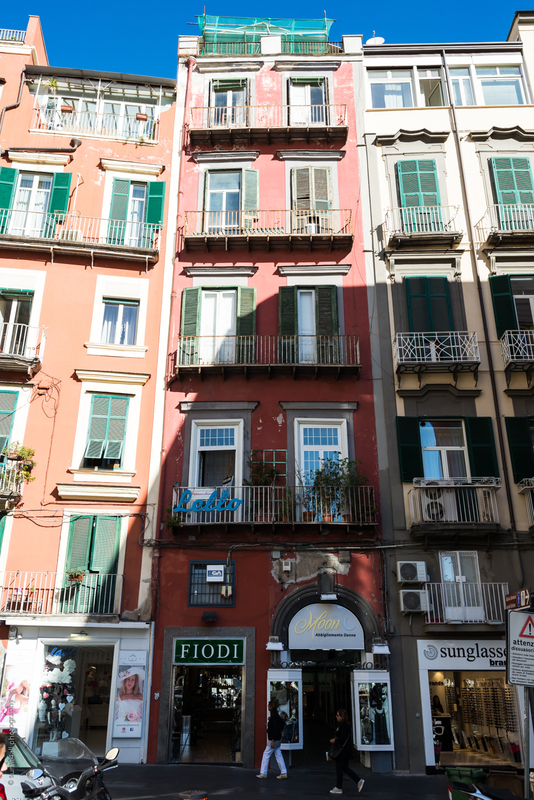 It was the facades of the buildings that first caught my attention as I started to roam about Naples. They are what gave the city its look, its identity, and me many nostalgic memories from Indian cities. I was immediately attracted to the old structures with faded and peeling paint, unkempt balconies and old shops. These buildings had a charm of their own, an elegance that is often lost in a shiny new building. 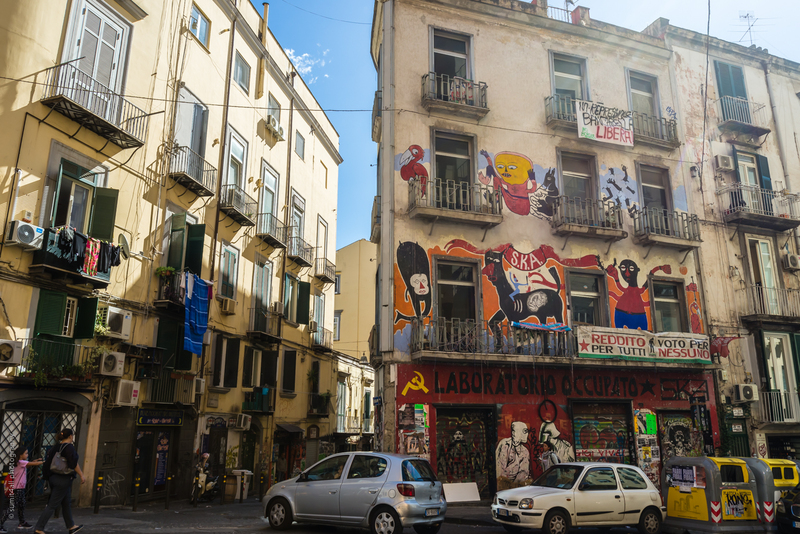 It is for no reason I found myself walking hours and hours in the narrow streets of Napoli. As I photographed these facades, very soon I came to realise that they are going to demand a photo essay of their own. 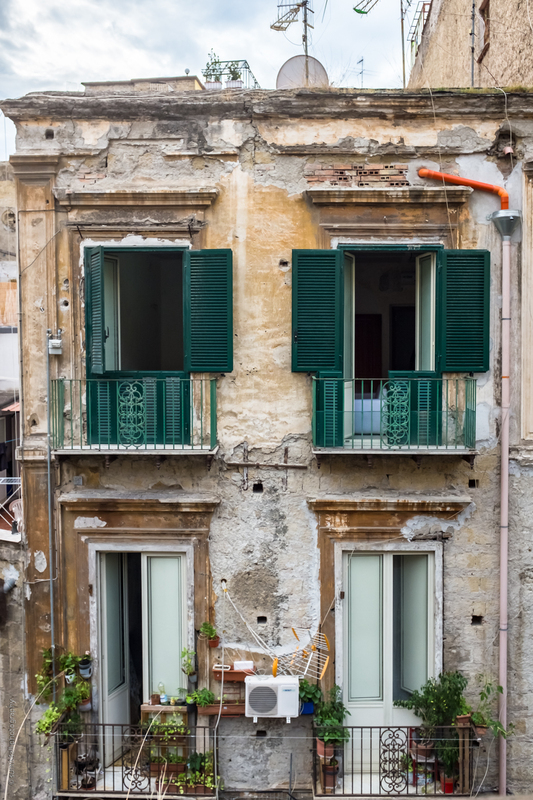 Each of these photographs are nothing on their own, but together, they come up as a representation of Napoli. 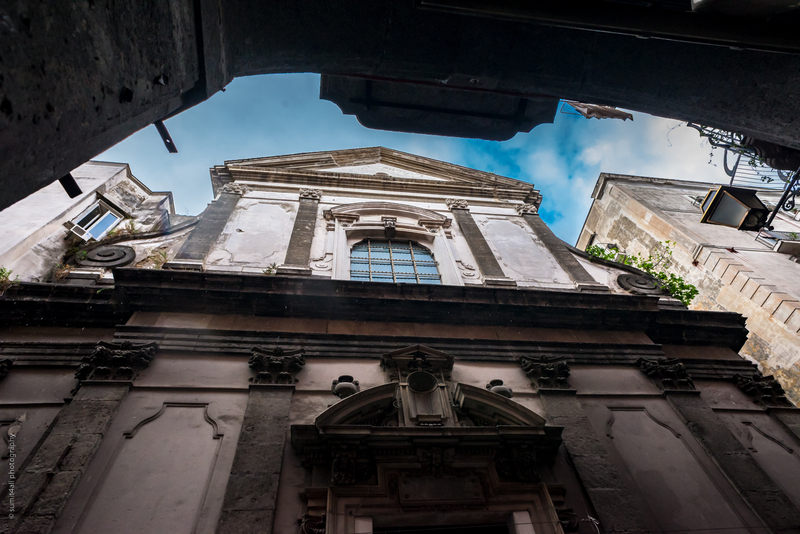 I believe this essay tells an important story about the city of Naples, and I like it when a group of photos work together to become something more than just the sum of its individual images. These old painted buildings were often sprayed with graffiti. Pictures and drawings and murals and portraits, all resonated with the character of the city, and each telling a story. You can ban it or legalise it, but no one can deny that urban graffiti gives the citizens of a city a way of expressing themselves through art. The walls are also full of slogans and names. These names and slogans narrate the trials and tribulations of the people and the underline the socio-cultural and economical currents. Many people told me that there isn’t much to see in Naples, but just as beauty lies in the eyes of the beholder, Naples felt refreshing to me. The city felt alive. And it felt alive because I could see people living their normal life on the streets. I could see their struggle, and their simplicity, unlike many of the prosperous European cities that almost feel surreal. 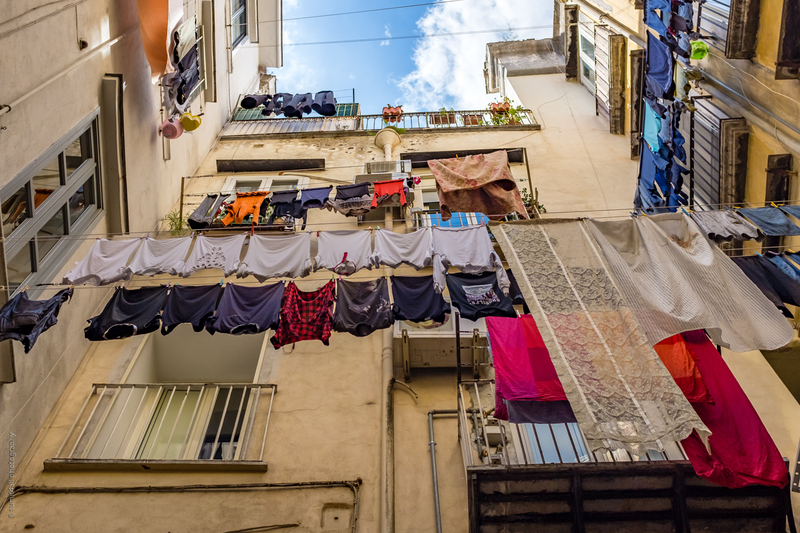 There were simple photographs to be made – like laundry hanging out to dry in the balconies of the narrow streets of the city. Not very different from watching my mother and grandmother jostle about with their chores when I was growing up in Delhi. The cars in the neighbourhood parked haphazardly in front of peeling old buildings and the street hawkers putting up their stalls in any available nook in itself showed the contrasting nature of the city, and how despite moving ahead with the times, the city has not lost its old elegance and charm. 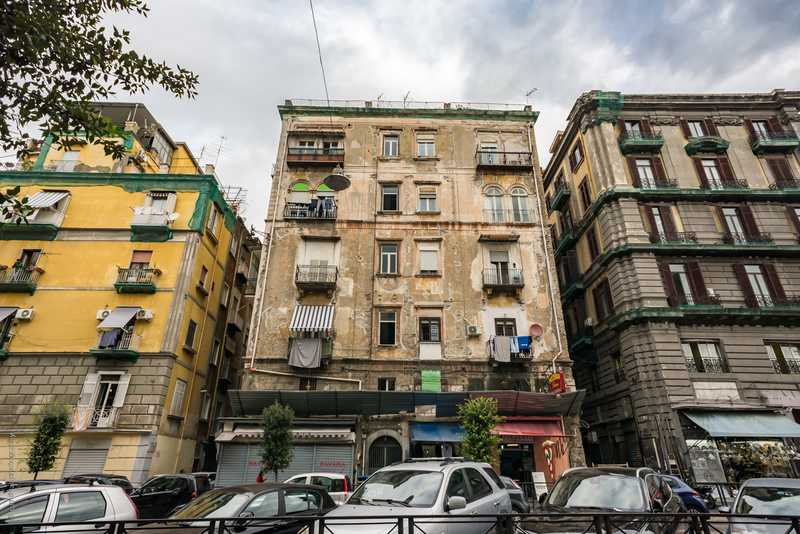 Naples reminded me that while we often seek the shiny new landmark and attraction in a city, it is often the simple and dusted places which have served the city well for many decades in the past. I believe there is beauty to be found in every imperfection. 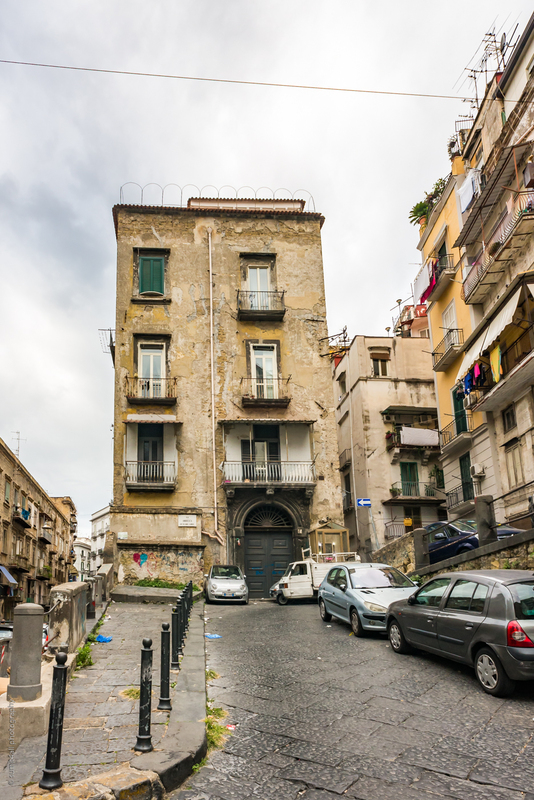 Another important aspect of the city of Naples is the fact that it is a very old city. With a history that dates back more than 2000 years, one can find old construction nested between two new ones. These old buildings most commonly have intricate designs on them, or date back to a period or a distinct architectural style. 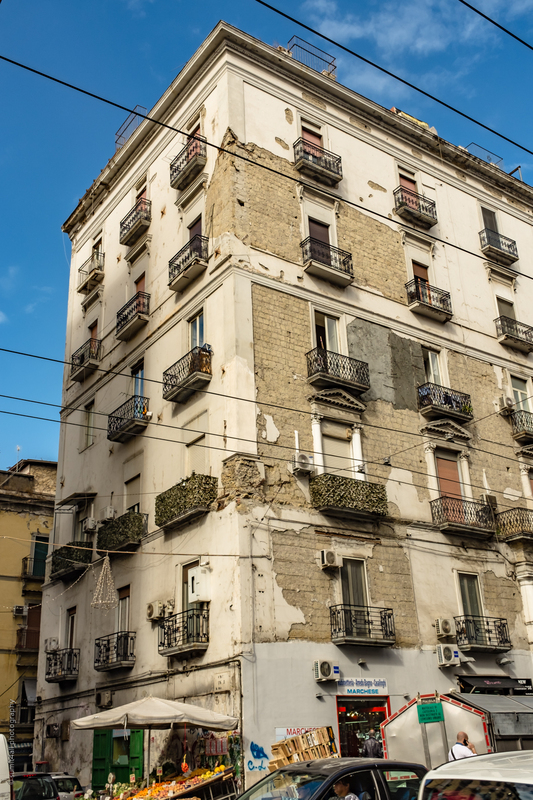 Therefore it is not uncommon to find buildings with ‘roman imperial’ style (known to have been a favourite of Mussolini) or baroque architecture with ornamental designs or Palladian architecture with arcades, arches and porticoes speckled across the city. In Naples, what struck me the most was the clear differences between the rich cities like Amsterdam or Zurich and the not-so-rich cities. Despite falling in the ‘not-so-rich’ category, Naples is every bit rich in culture, elegance, beauty and charm. Just like the world would be boring with the same kind of people, there would be no fun in traveling if each city was similar. The diversity of cities – whether it is political, cultural, economic or geographic, is what gives each city its unique character and makes traveling worthwhile.